Maine Department of Health and Human Services Commissioner Ricker Hamilton on Dec. 8, 2017, at a ceremony in Augusta. The bill comes as part of a multi-pronged response to the deaths of two girls in 2017 and 2018, allegedly at the hands of their caregivers. In addition to criminal investigations, state government is conducting internal reviews and the Legislature’s watchdog Office of Program Evaluation and Government Accountability is working on a review of the system. In addition to LePage’s proposals, the Legislature’s Government Oversight Committee is developing its own recommendations. “It’s that black hole in between that report and when someone from HHS would work and find out what’s going on,” Diamond said. Several other lawmakers on the committee said they have also heard widespread complaints about unanswered reports. In May, social workers reported the same and said they regularly wait on hold for more than 30 minutes when calling in a report. Hamilton said the system is facing a rising number of reports and referrals but rejected the notion that it’s broken. He said the average wait time for callers is about 5.5 minutes. “I think we’re challenged and stressed at the moment, but we’re doing as well as we can,” Hamilton said. Turnover within the state’s more than 300 caseworker positions and pay that is not competitive with what workers could receive in the private sector contribute to the problem, said Hamilton, but there is also a limited number of people willing to do the work. “This is one of the most dangerous, challenging jobs that we have in state government,” Hamilton said. The commissioner said LePage’s bill will propose up to 75 new caseworkers to be deployed throughout Maine, as well as funding for the implementation of a new computer system to log and track cases. The current system has been deteriorating for years but that the federal government sets limits how often it will help pay for a replacement, according to Hamilton. 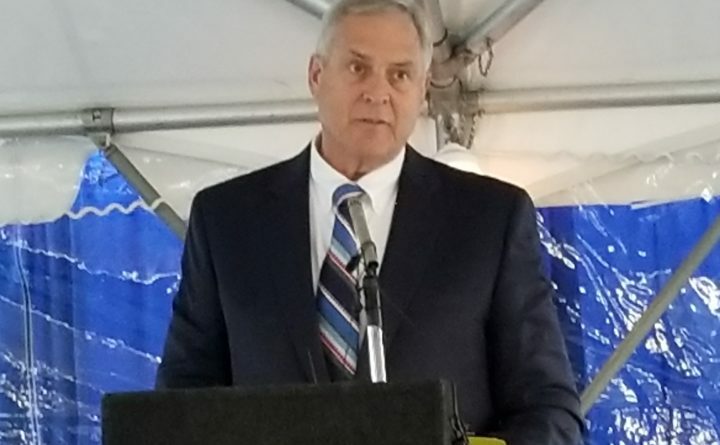 The department has been exploring a new system for more than two years, and Hamilton said he expects a federal financial match for the project of at least 50 percent. LePage can introduce new legislation any time the Legislature is in session, which it is now. He has said he will call another special session later this year to deal with child protective services.